Famous For: Tourism, Experience seekers, Photography and Architecture. Entrance Fee: No entry fee is charged to visitors or tourists. Visiting Time: Lodhi Garden is open on all days of the week from 6 A.M. to 7.30 P.M.
Visit Duration: Approximately 1 hour. Known for its architecture and fresh environment, the Lodhi Garden has always attracted tourists from all parts of the country. It is the place where many Lodhi and Sayyid rulers were buried. In here you will see the remains of an old water tank and next to it lays a courtyard. Make sure to take some time to cherish the beauty of this place. Delhi is hot mostly all year round. You might want to carry a scarf or a hat in order to protect yourself from the harsh rays of the sun. Staying comfortable is an absolute must. Wear comfortable shoes and clothes so that you can enjoy the most. Stay hydrated. Drink loads of water if you are visiting during the summer time. Coconut water is also available at various places. You can have that too. Do not litter the place by any means. Plastic wrappers, bottles or bags must not be left behind. It destroys the beauty of the place. The Lodhi Garden is very close to Khan Market. There is everything that you can find in Khan Market ranging from scented candles, household items and food too. The local eateries are best to explore the typical North Indian dishes. The prices are dirt cheap but the quality is to die for. Try all the lip smacking dishes and enjoy your stay. Lodhi Garden is also a great place to showcase some of your photography skills. The greenery and well maintained surroundings will be the perfect backdrop for loads of snaps. 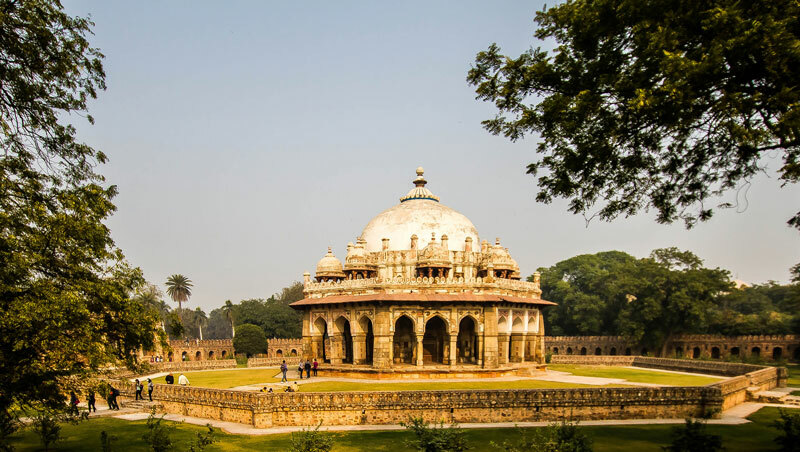 Lodhi garden is a great place where you can relax and spend some alone time. Visit early morning and take a book along. You will feel absolutely refreshed. Chandni Chowk is also a shopper’s paradise. Designer lehengas, salwar suits, dress material, bangles, earring, you will find all of it there. You would not need anyone to take you through the Lodhi garden. The place is great to be explored and safe too. There are boards indicating the tombs and other structures. Besides, you can always read a few blog posts or articles on the internet to know vivid details of this place. The nearest metro station is called the JLN metro station. It is also the easiest way to take. Public bus or cabs are also an option. Indira Gandhi International Airport is the nearest airport and can be reached by buses or cabs. Transportation is quite smooth and hassle free. Before the independence of India, the Lodhi Garden was called the ‘Lady Willingdon Park’. 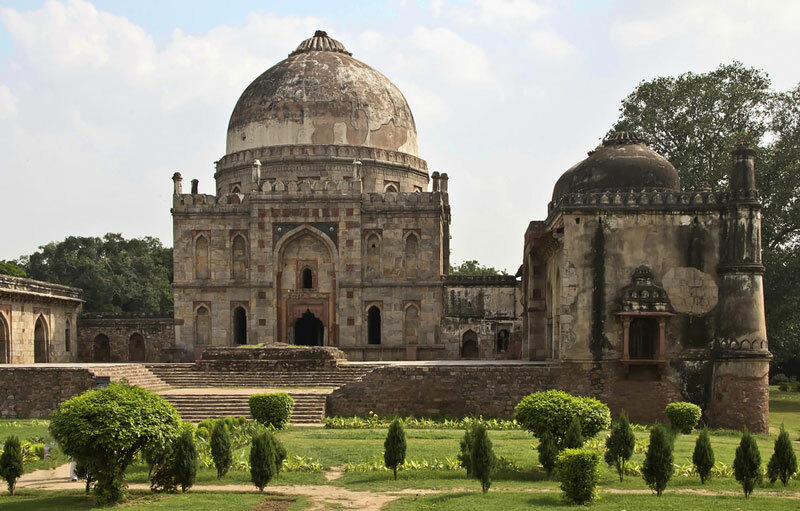 There are a number of tombs inside the premises of the Lodhi garden including the tombs of Sikander Lodi, Bara Gumbad, Shisha Gumbad and also Mohammed Shah. The construction of this garden had supposedly taken place during the 15th or 16th century by the Lodhi rulers during their reign. In the year 1968, the place was modified to give it the present-day look. On a regular morning, you will find locals jogging or running to soak the fresh air in. Many schools and colleges organise historical visits to this garden. If you are planning to visit Delhi anytime soon, do not miss out on this amazing spot. You are sure to have a great time.